This is the former Red Cross headquarters at 74 Warren St. in Glens Falls. Glen Street Associates plans to renovate the 5,000-square-foot building and lease it out for offices. 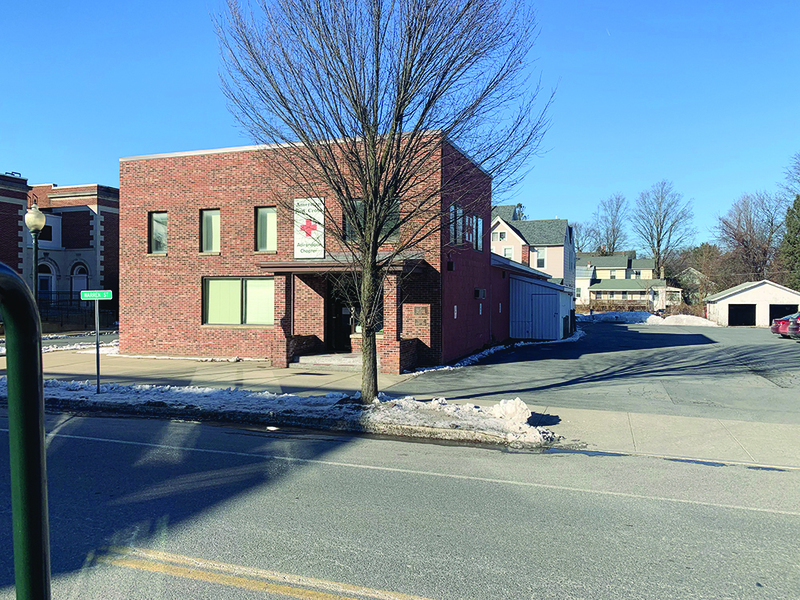 Glen Street Associates recently purchased the former American Red Cross building at 74 Warren St. in Glens Falls, its 14th real estate purchase since 2001. “It is kind of a plain Jane right now, but it is a brick building with some 1940s charm and character,” he said. Real estate agents participate in a seminar conducted by Personal Safety Services, a group that offers instruction on safety issues including self defense. 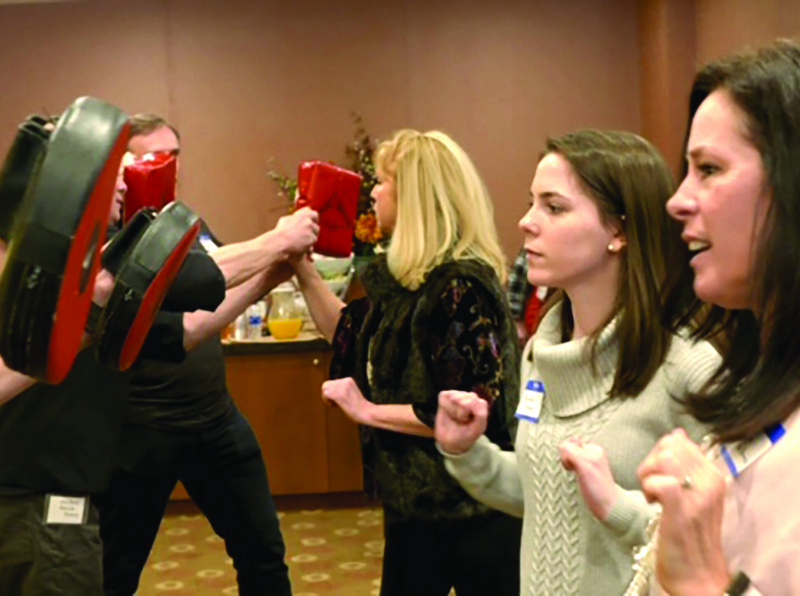 A group of four Capital District real estate agents is offering personal safety awareness instruction specifically designed for real estate agents—but with a kick. 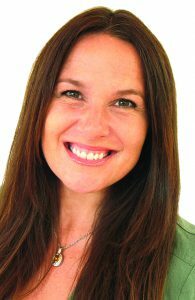 The idea for Personal Safety Services started to take root about two years ago when Bruce McClellan, a recently retired Realtor and founder of Pinnacle Realty Saratoga LLC, had a minor health setback that “caused him to pull away a bit” from his busy real estate practice, according to the group’s operations director and instructor, Genevieve Suguitan of Signature One Group Malta. Two brothers, a doctor and a lawyer, doing business as Dwell Well Properties, are rapidly accumulating a portfolio of multi-family rental properties in downtown Glens Falls and are about to close on their first Saratoga Springs acquisition. Kevin Grassi, chairman of the Department of Pediatrics at Glens Falls Hospital, and Justin Grassi, a real estate lawyer, bought their first property, a three-building complex on Roger Street in Glens Falls in January 2018. Their latest purchase, 6-8 New Pruyn Street and 10 New Pruyn Styreet, near Broad Street, purchased this year, is nearby. They bought that complex, along with a third partner, Morgan Jones from USP Residential, LLP, for $950,000. The seller had done work on the buildings before the sale, according to Justin Grassi. The three buildings have a total of 13 units, all but three of which were occupied when Dwell Well took possession. “The vacancies filled quickly,” he said. 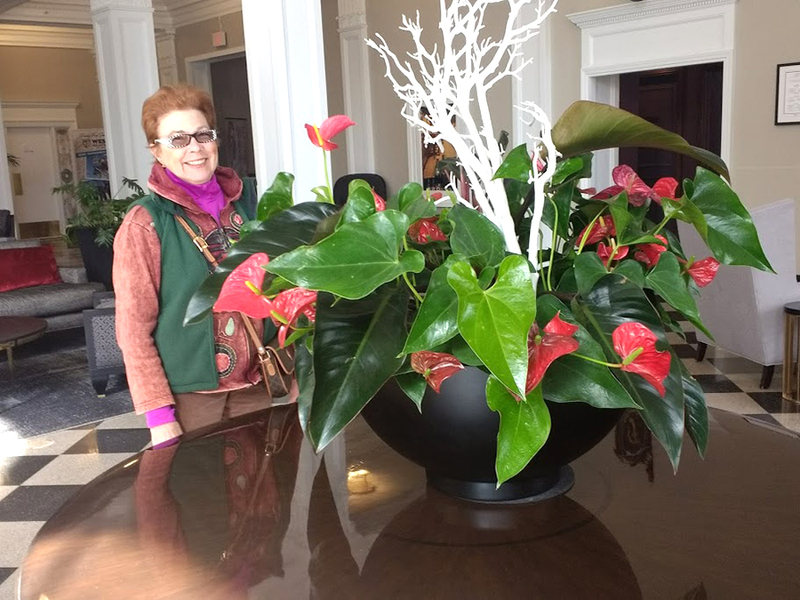 This is an example of interior landscaping, a specialty of Lanette Akerson, owner of the Plant Doctor. With the onset of spring, Landscaping companies are gearing up for what usually is a busy work season. Jim O’Keeffe, owner of Pure Perfection Landscaping and Services in Hudson Falls, is focusing on spring cleanup, lawn de-thatching and core aeration, clearing out debris left by winter winds and storms, and generally preparing lawns and garden areas for the warmer weather. O’Keeffe said his main focus is residential properties and he works with both homeowners and developers to create outdoor landscaping that enhances the look of the property and expands the living space for homeowners during the warmer months. Susan Kassal of All-American Properties says updated three-bedroom homes are in demand. Warren County is facing a shortage of inventory in real estate, local agents say. Despite that, agents said the markets for both residential and commercial real estate are strong and buyers and sellers alike have a positive outlook. Nicholas Ketter of Levack Real Estate in Glens Falls said the commercial market is strong, but while some aspects of the market are trending nicely, others have remained flat. “There is strong interest to invest in the apartment market right now,” said Ketter. 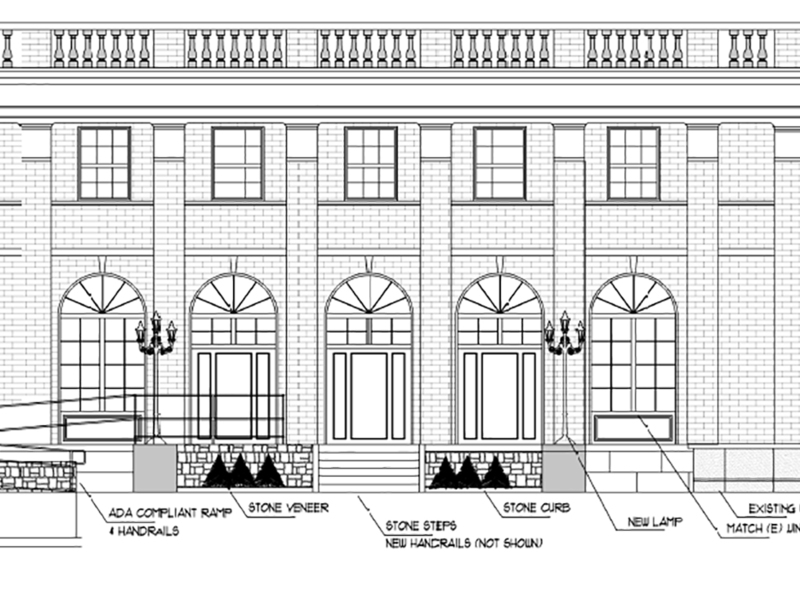 This is a rendering of the what the fomer post office at 70 Warren S. in Glens Falls will look like when reonovated by Glen Street Associates. The project is expected to take six months. After nearly 40 years of vacancy, Glen Street Associates has plans to renovate the century-old former post office at 70 Warren St.
Glen Street Associates, run by Peter and Suzanne Hoffman, is a real estate development, construction and property management company in Glens Falls that procures historic buildings to renovate and restore. The company then leases the space. The company deals in properties usually built between 1865 and 1929 and has rehabilitated both residential and commercial buildings in the area, according to Peter Hoffman. Since its founding the company has done a quarter of a million feet of renovations in the North Country and owns 165 apartment units. 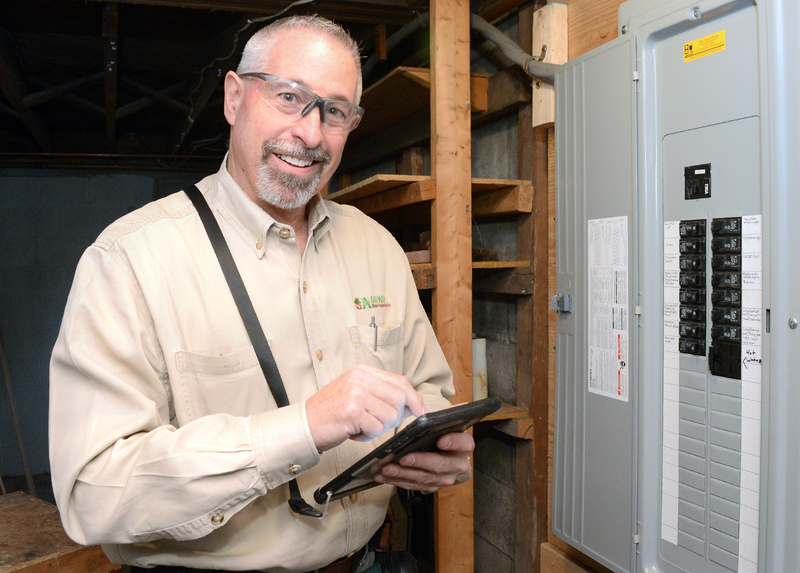 Nick Disarro is the installation manager for Apex Roofing, a new division of Apex Solar Power in Queensbury. The staff has experience working with all kinds of roofing materials. 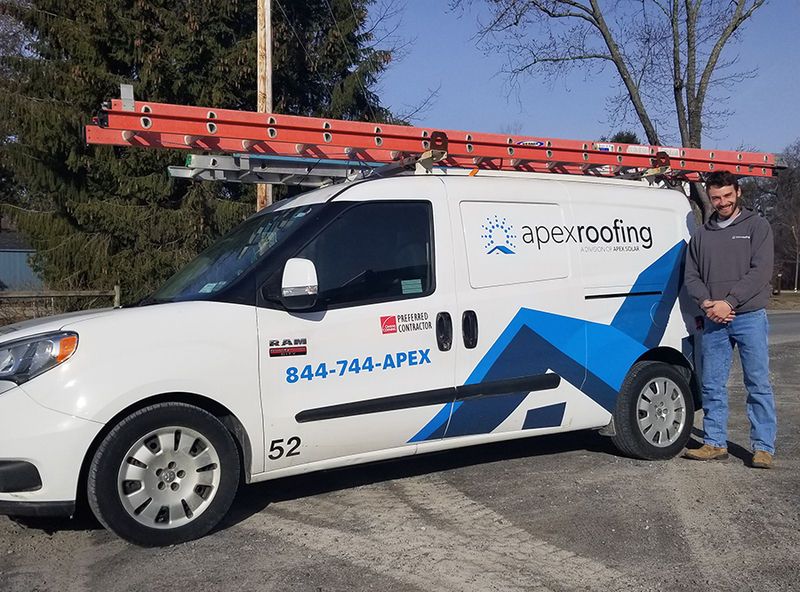 Apex Solar Power, a Queensbury-based company that installs solar power systems through the region, has launched a new division of the company: Apex Roofing. The addition of a roof-focused division came about as a solution for home and business owners who have expressed interest in solar power, but would require a new roof to have the installation completed on their property, the company said. 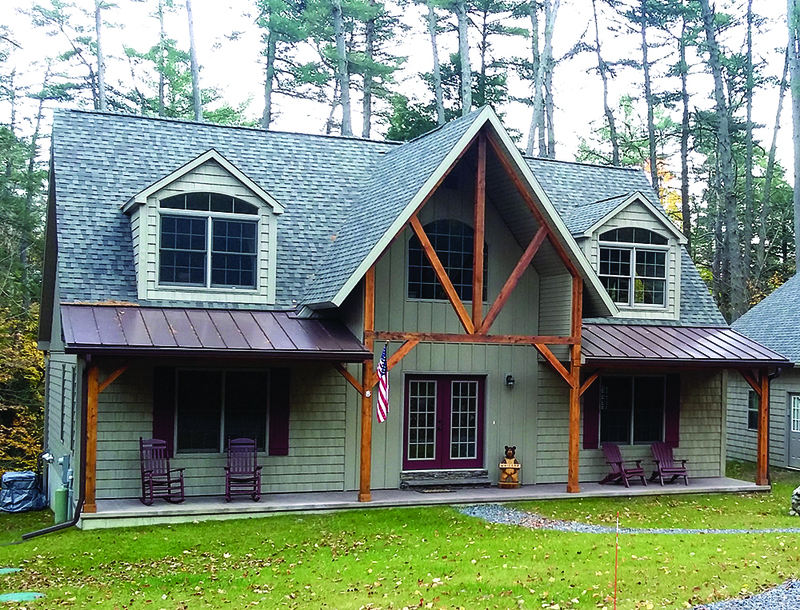 “Most solar installations are performed on rooftops, so adding a roofing service provides our customers with a simple solution to complete both projects for their home,” said Stan Dobert, president of Apex Solar Power. Wood Brothers Quality Construction in Glens Falls started three years ago. This is one of the company’s new homes, of which it builds two or three per year. Some people excel in one area but may fall short in others. For Dan Wood, owner of Wood Brothers Quality Construction in Glens Falls, a combined excellence in his craft and knowing how to run a business has brought him early success and a steadily growing reputation in the upstate New York and Vermont regions. “I reached a point where I was doing a lot of jobs on the side,” he said. The timing was right and he made the change from employee to business owner. He’s never looked back. That passion is two-pronged. He loves building things, but he is equally passionate about marketing and selling them. Wood began his building career designing and constructing birdhouses, then finding ways to sell them. He attributes much of his drive to growing up in a large family that didn’t have a lot. As one of seven children, his parents always pushed them to do their best.